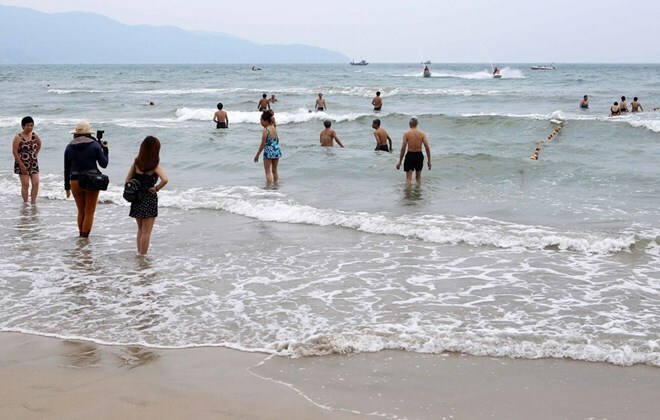 Da Nang (VNA) – The Da Nang-based Trade and Tourism Ltd Company L will have its business license revoked for poor management over its clients, according to the tourism authority of central Da Nang city. The company organised a package tour for a group of 25 Chinese tourists visited the city from June 12-16. These tourists were then caught to disturb public order, burn Vietnamese banknotes and use foreign currency to pay for services at TV club on June 14 night. The company’s license on international travel service will be invalidated from six to 12 months. It will also be fined up to 30 million VND (1,350 USD) for infringing Decree No 158/2013/ND-CP on tourism activities.